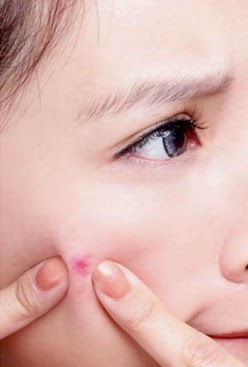 The incidence of pimples is increasing beyond 25 years of age especially in females; is this due to increase in stress levels or because more and more females are now becoming more conscious about their looks or due to more sedentary lifestyle? All of these factors are implicated in increase incidence of Adult onset acne. In this article we would be discussing the reason behind getting pimples beyond teens along with treatment options available with dermatologist. What cause acne to appear at later age? Does diet rich in fat really increase pimples? When should I visit my Dermatologist? Which treatment is prescribed for Adult onset acne? Disclaimer- The content of this page is meant for information purpose only and not not meant for medical use.As everybody skin behaves differently so the author is not responsible for any damage or losses or side effects arising from the use or following the information provided on this page. Also certain topics in this page are still controversial so the author is sharing her views based on her experience and knowledge. Any wrong content or discrepancies in thought are invited for discussions and if needed can be corrected based on the facts. The results expected with skin care products are not universally applicable as each individuals skin behaves differently. The author is not responsible for any adverse event that arises out of following my opinion, however such negative and positive feedback will help me improve. Kindly seek dermatologist advice for skin care, acne, redness, irritation, dark patches or any other skin problem. Kindly note for medico-legal reasons I have not listed prescribed skin care products which are specially formulated according to skin types and are cost effective too. Also, the author has no monetary association with above listed brands, there are thousands of skin care products in the market I have chosen few of them to start with. Kindly note all the photographs in this blog are taken from Google images. Your invaluable comments, queries and Facebook likes will help me in my effort of Dermato-awareness- working towards healthy, radiant and flawless skin. Toner- skin care on the go! Face pack-how to, which one and when? Exfoliate- your dead skin away! Face wash- how to choose? Night cream– how to choose?